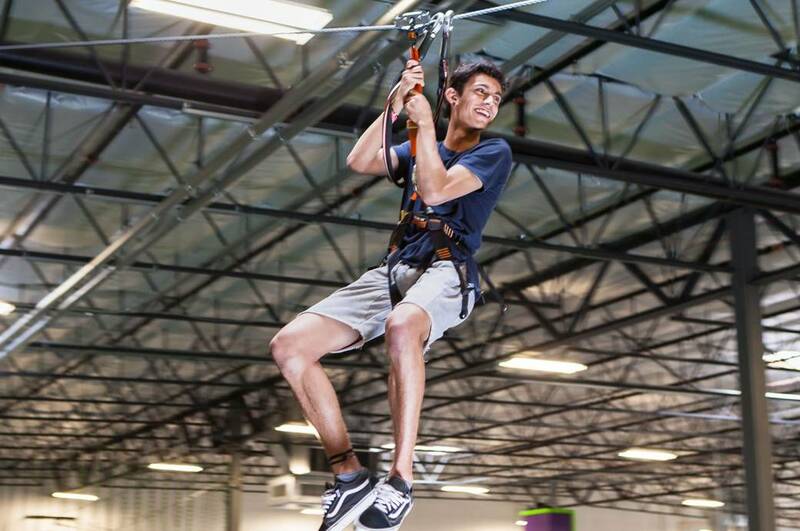 Gravity Extreme Zone is an indoor adventure park offering extreme entertainment for the whole family. The amusement center features 12,000 sq. feet of trampolines for freestyle open jump, a dedicated kids trampoline for those 42" and under, Extreme Basketball trampolines and Extreme Dodgeball courts for kids and adults. 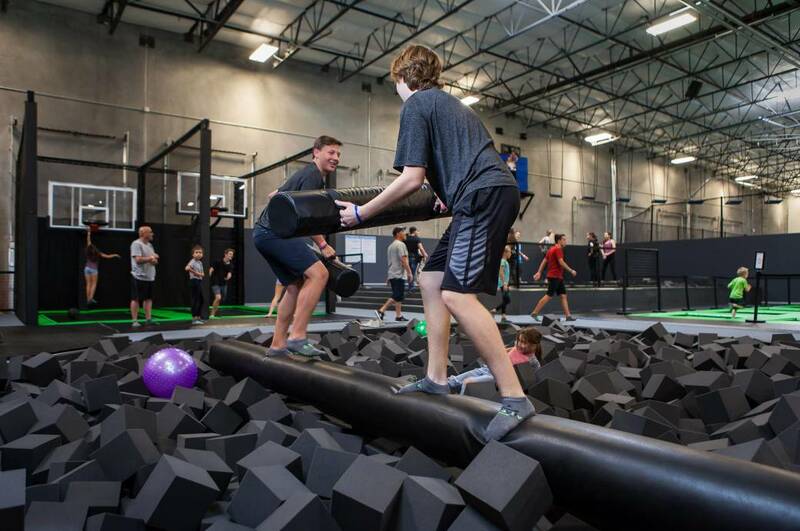 a performance trampoline set above a sea of foam where you can test your skills or challenge a friend over a large foam-pit where you maintain your balance on a beam all the while attempting to knock down your opponent. 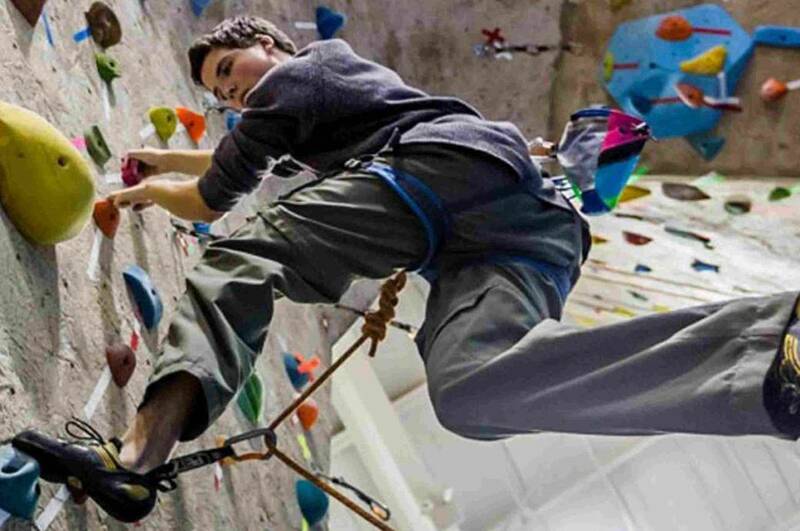 Other attractions include Bungees, Skywalk - the largest indoor adventure rope course in the country where you make your way through 12 adventure elements while suspended 18-feet in the air and the Extreme Wall that features a state-of-the-art 30' indoor climbing wall that can support 12 climbers at a time. All together, Gravity Extreme Zone features over 10 attractions in a 40,000 sq. foot climate controlled facility that is an ideal setting for team building, corporate events, parties, and just to let loose with the kids. 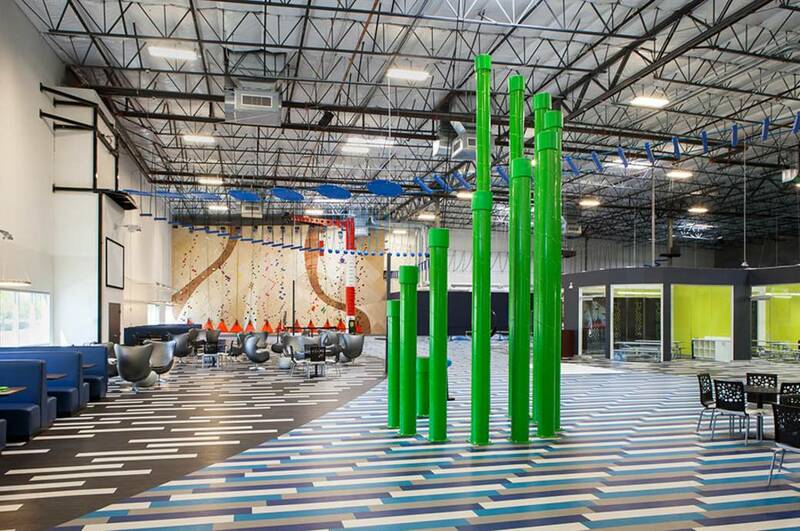 Some attractions have height and/or weight restrictions and the trampolines require grip socks to be worn, which may be purchased for an additional fee at the front desk. Gravity Extreme Zone features an in-house, from scratch Italian kitchen featuring hand crafted calzones, stromboli, pastas and hand-tossed New York-style pizza along with a selection of sweets, coffee bar and assorted drinks.